Washington D.C., our nation's capital, is a busy metropolis that is bursting at the seams with history, culture, art, and tourists. While you may not be headed to Washington D.C. specifically for the food scene, you're not going to be disappointed once you start chowing down. Since it's one of the most visited areas in the world, it's no surprise the food scene is something truly special. Whether you live there or you're just visiting for a few days, you're going to work up an appetite strolling around visiting all the historical monuments and museums, and the young and experienced chefs alike know that. They are bringing fresh ideas and revitalizing the culinary scene to cook up what you never knew you needed in form of something extraordinarily tasty. Our Cleveland warehouse is packed full of all the restaurant supplies you need to run a successful business in Washington D.C. From professional cleaning supplies, bar glassware, commercial dinnerware, food prep tools, flatware and so much more, Dean Supply can offer the best prices and quick, reliable shipping. As the number one Washington D.C. restaurant equipment and supply dealer, we can will not only give you the items you need at the prices you want, but we will also provide superior customer service to ensure you get every item on time and in perfect condition. Once you discover our online store, you'll never have to wonder where to buy restaurant supplies for Washington D.C ever again. Looking for more information on the latest trends, the best products, and information on top manufacturers? You need The Dean Supply Reference Guide. It's packed from cover to cover with the best restaurant equipment and supply you need to run a successful business in Washington D.C. 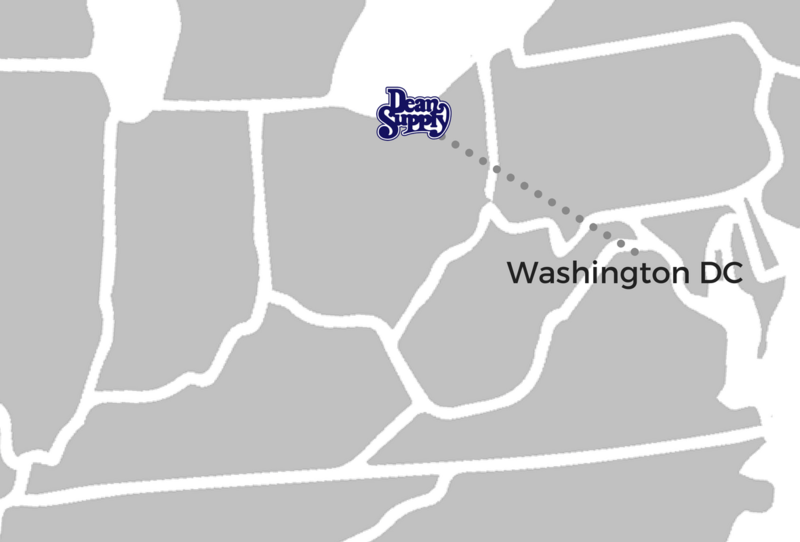 If you're wondering where to buy restaurant supplies in The District, Dean Supply Co. has you covered!